Since 1993, Rabbi Yitzchak Schochet has enthralled millions – from congregants at the Mill Hill Synagogue to viewers of popular news stations. Today, more than 3,000 devout members join Rabbi Yitzchak Schochet for service regularly. 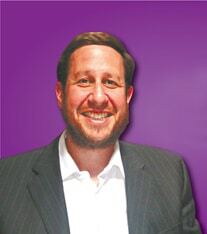 Rabbi Schochet’s accomplishments do not end at Mill Hill or the United Synagogue. He has served as the assistant principal in New York at the Oholei Torah Boys School, the Minister of the Richmond Synagogue in Southwest London, and a teacher of Advanced Jewish Studies at several top-tier institutions. Rabbi Schochet has also authored a wealth of published articles and columns in many publications, including the Jewish Chronicle, the Jewish News, the London Times, and Time magazine. Additionally, he has often served as a guest on international broadcast television for BBC, CNN, and ABC. Rabbi Schochet’s passion and faith has been exemplified on the global stage, but his focus on improving the world has always stood out. As the father of four children, he understands the trials and tribulations of parenting today’s youth in an occasionally critical world. Searching for a Kosher hotel or resort can be frustrating. However, avoiding Passover travel for this reason alone would be impractical. Rather than watching Rabbi Yitzchak Schochet from a distance, you can chat with him face-to-face while on the Passover program of your dreams. Leisure Time Tours focuses on providing a non-intrusive, exciting journey for Passover travelers, without sacrificing your tenants of faith, luxurious amenities, or beautiful grounds in a hassle-free environment. Contact Leisure Time Tours: Passover Vacations at (800) 223-2624 to get started planning your trip today.